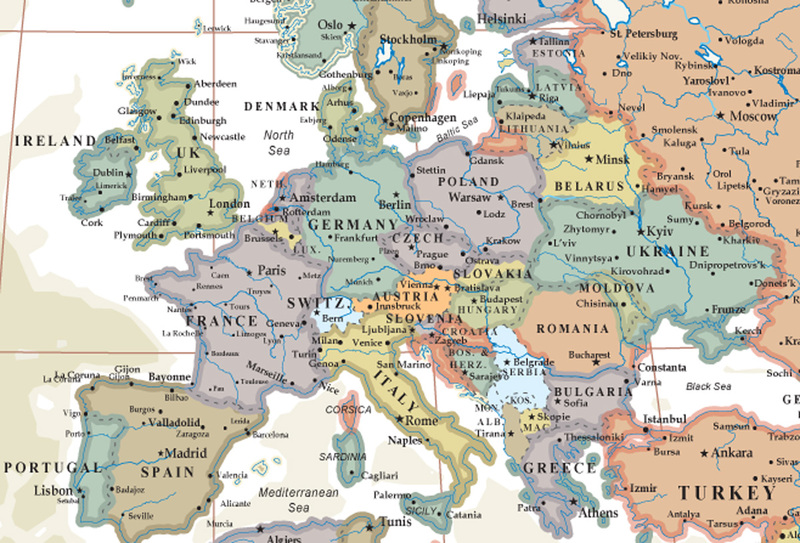 The Swiftmaps World Modern Day Antique Wall Map Poster features our current world up-to-date but with antique look and vintage feel of earth tones. 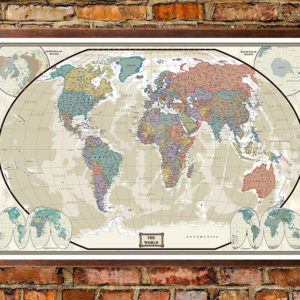 The Swiftmaps World Modern Day Antique Wall Map Poster is quickly becoming the most popular and desired world map in print today! 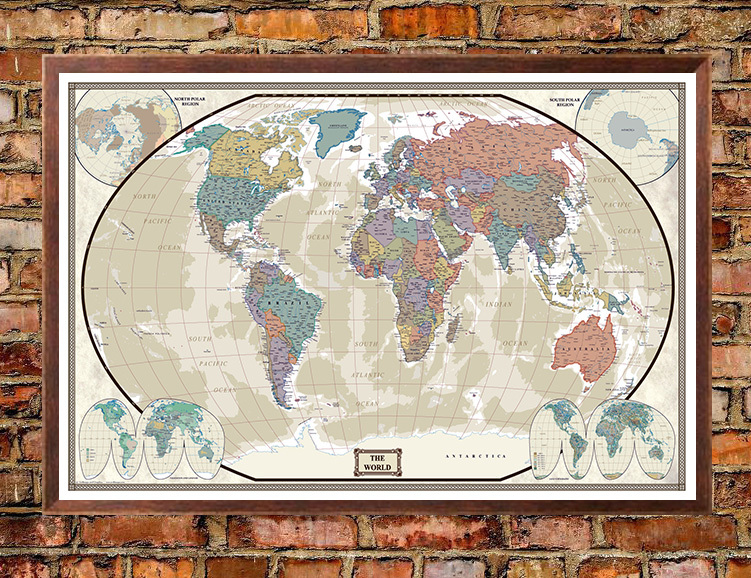 Enjoy the accuracy and beauty of the latest World Modern Day Antique Wall Map poster from some of the best cartographers here in the US. 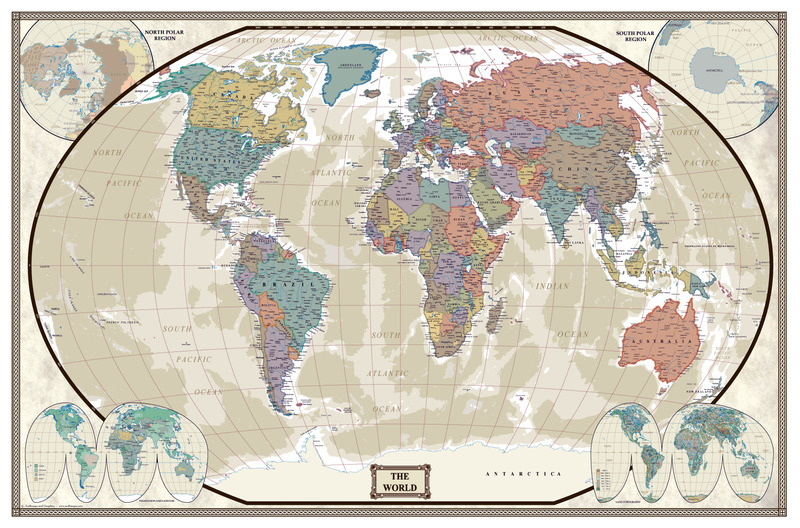 This map features the popular Winkle Tripel projection with rich, elegant tones that will complement any office or home. 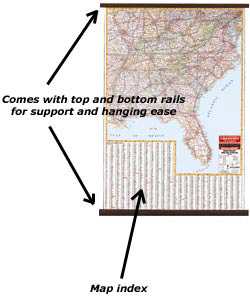 Astounding detail and board room quality make these maps excellent for reference or as a keepsake for your map library. 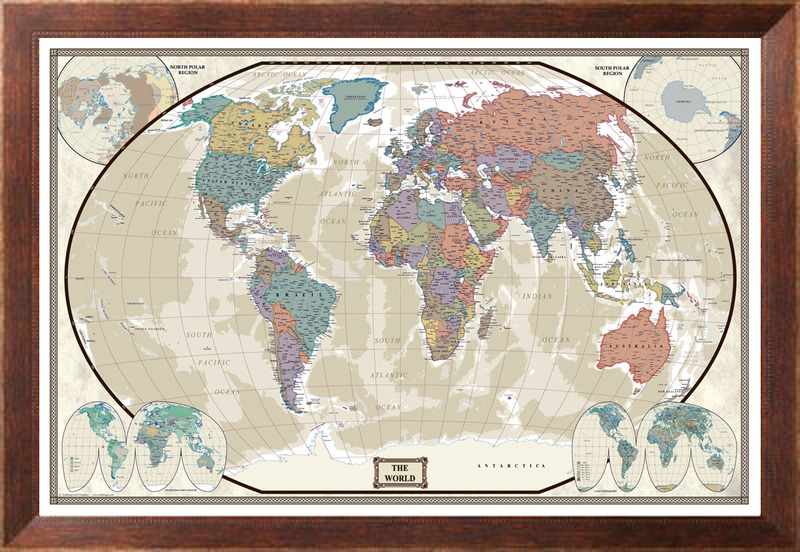 This is a current world map featuring an antique style with vintage earth tones. Note: The 76×120 wall mural edition is a 3-panel wall mural that will be joined during the installation process. Instructions are included with your shipment!